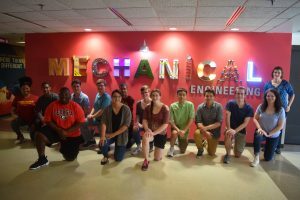 The Department of Mechanical Engineering at Iowa State University hosts a summer Research Experience for Undergraduate (REU) students entitled Multiscale Sensing Actuation and Imaging (MoSAIc). The program will create novel research experiences for undergraduate students in the areas of design and manufacturing of micro/nanoscale sensors, actuators, and smart materials, as well as advanced imaging and diagnostic systems. The students will participate in cohort experiences such as short courses, joint seminars/meetings, workshops, tours of research facilities, and field trips. 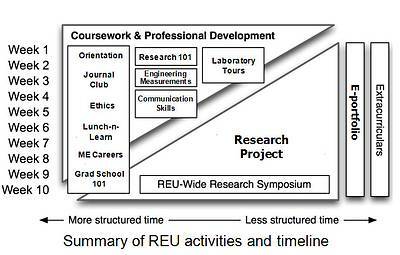 At the end of the program, REU students will participate in a joint poster symposium with students from other undergraduate summer research programs from across campus.